It’s the thirty-second day of school. 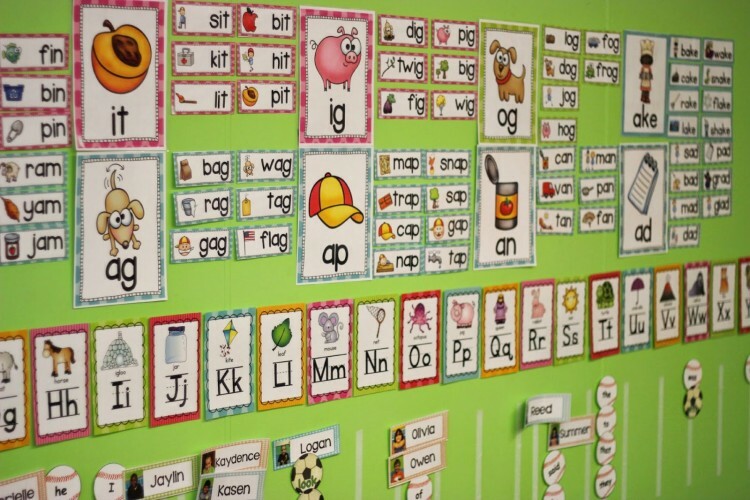 Over half my kindersare ‘Top Bananas,’ I’ve introduced and we’ve reviewed over half the letters of the alphabet, they showing signs of segmenting and blending, they totally ‘get’ patterns, and I’m feeling like it’s time to introduce word families. 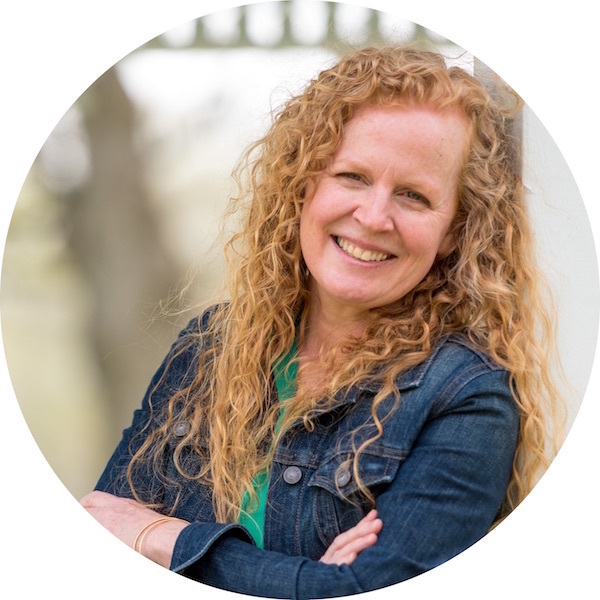 Since you all have had so many questions about this part of my classroom routine, I thought I’d show you a bit more about how I introduce, differentiate and maintain this part of my ELA instruction. I’m going to warn you, this could be a long one so hang in there with me. I give my students a chance to move around and see how the family has a pattern and when the initial onset changes the words change. 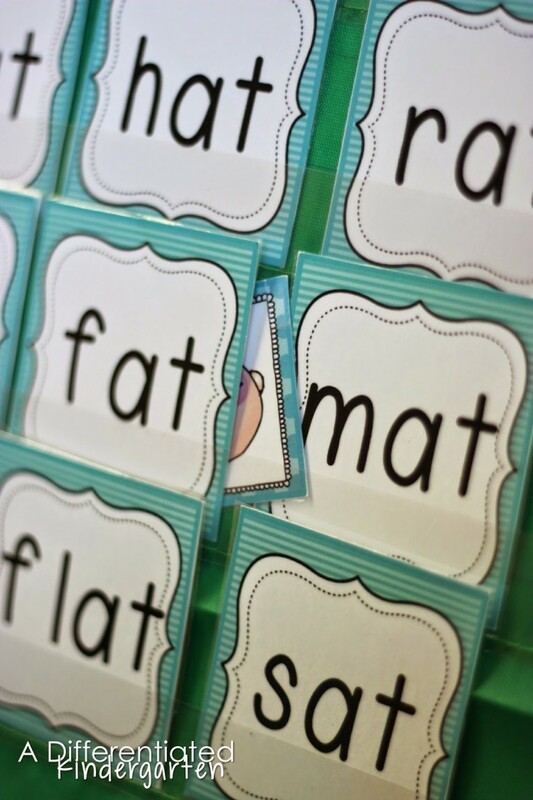 In the beginning, it’s enough for us to take turns making the words with placards, but after a couple of weeks, I have students who are not holding the placards, write the words on a word family recording sheet as well. 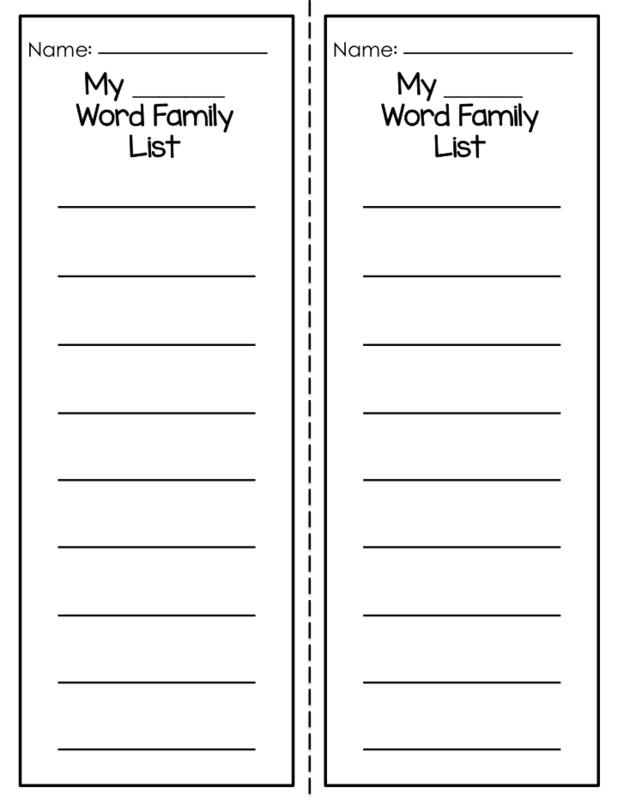 After this first day of introduction, the word family poster and cards go up on my wall and these become a central point of reference for my students during their word family study. I can’t tell you how often my students refer to these posters or the rings when they are writing and reading. 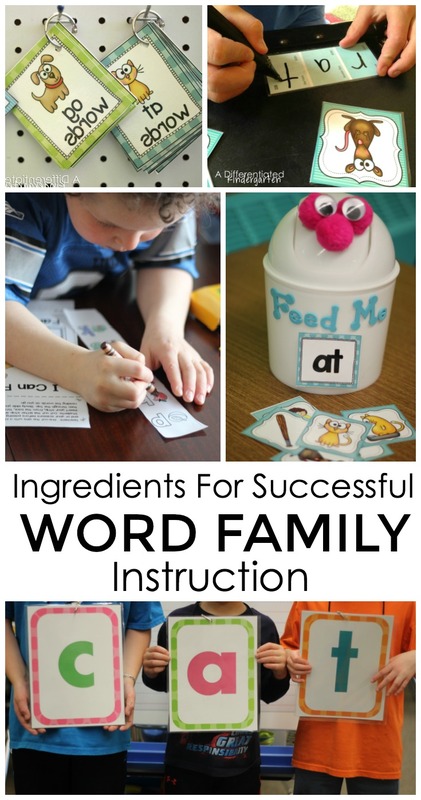 It’s amazing to see how familiar they become with the families and how they can process new words by find the word family chunks within other words. It’s one of those ‘ah-ha’ moments that make all the rest of the ‘oh my gosh will they ever get it’ moments disappear! I live for those moments. Then the rest of the week, I simply do some quick review activities during whole group ELA. One day we may do a group sorting activity. 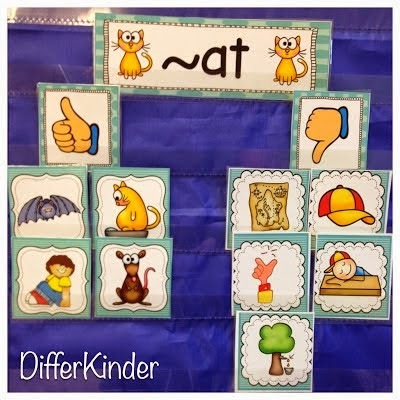 I hand out several picture cards from different word family groups, and the students take turns coming up and placing them under the thumbs up or thumbs down heading in our pocket chart. The other students give a thumbs up or thumbs down if they agree so that everyone stays engaged. Another day I might hide different word family words in my morning message. Students get to come up and circle the word family words they find. 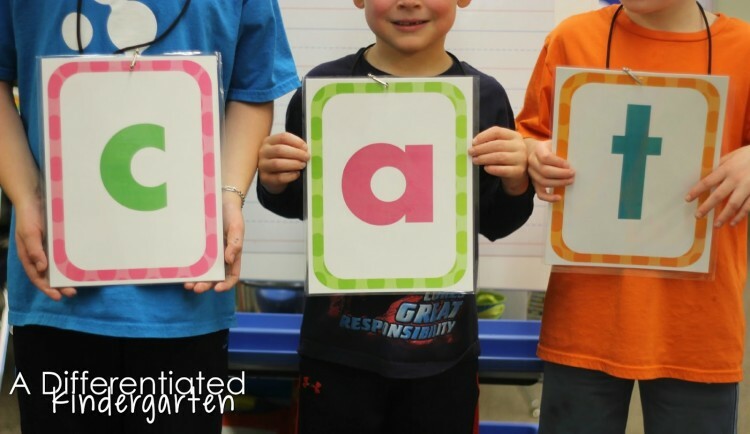 Get your students in a circle and have one person start with a word family word and go around the circle to see how far you can get repeating the initial word, plus all the words that have come after and adding a new word. This one usually erupts in laughter, but it helps greatly with students who struggle with producing rhymes. And still another day I might play a Simon Says type game where I call out ‘if cat is part of the ~at family, put your hand on your head.’ Whatever I do for whole group, I try to incorporate movement of some kind, I keep is short and I make sure everyone is involved. That’s whole group. However, the real meat and potatoes, the real practice comes during small group instruction and stations. Because I use a modified Daily 5 structure for literacy, my small group instruction is called ‘Meet the Teach.’ This is the time when I do ‘guided reading instruction’ which could include on a typical day some letter instruction, sight word work, phonics/word family work and reading depending on the kids I’m seeing. However, there is almost always some kind of word family activity included with every group. Mr. Munchy Mouth Sort-We use this handsome devil to sort out word families. I throw a couple of different families together and have them decide if it belongs to the word family that Mr. Munch Mouth is eating that day. 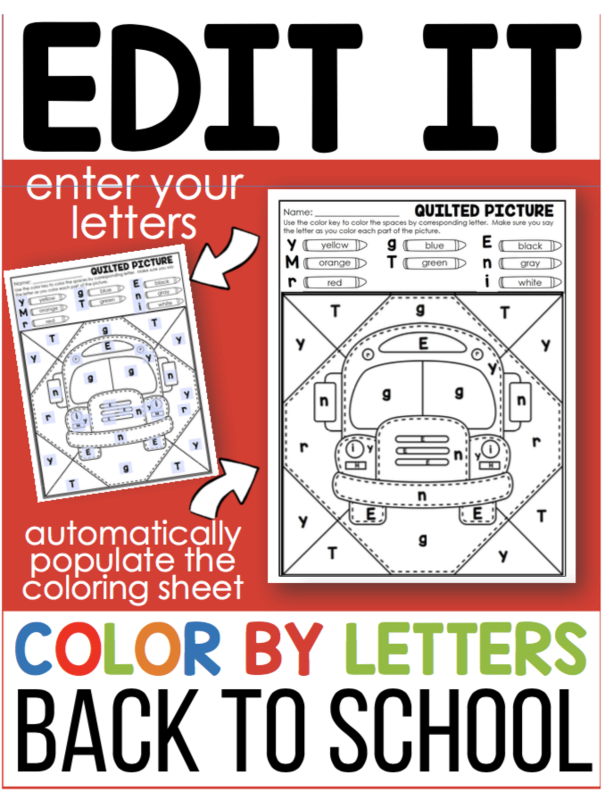 This is a classroom favorite and definitely keeps them engaged. 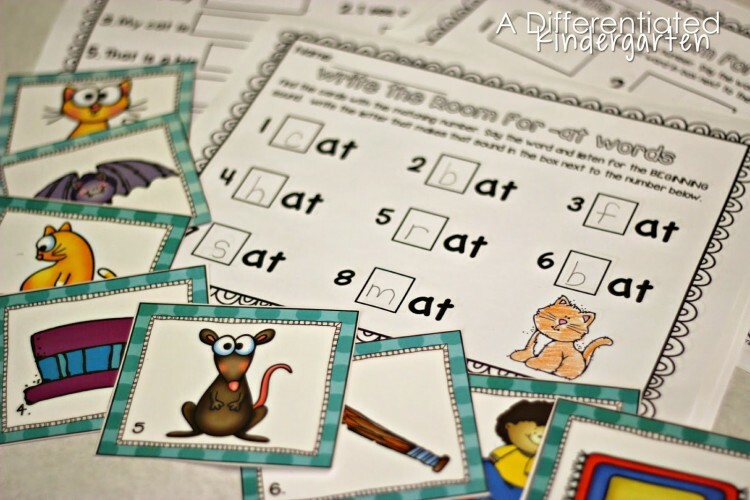 Word Family Hide ‘n Seek- This can be played in small groups as you begin word work study, but it often becomes an activity that you can place in your stations and students easily play it independently with others. 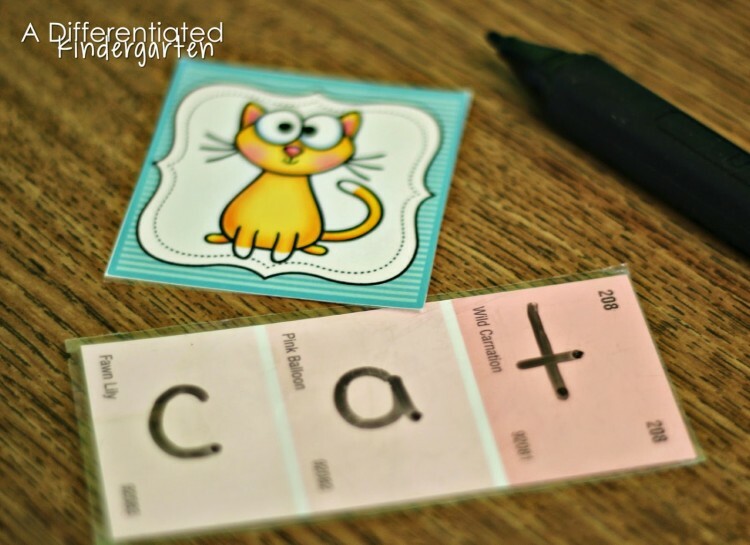 Word cards are placed in a pocket chart and one student hides the ‘hide-n-go seek’ card behind a word family card while the other students try and guess where it is by reading the words on the cards to indicate their guess. The student that guesses where the ‘hide n go seek’ card is located, gets to hide it next. 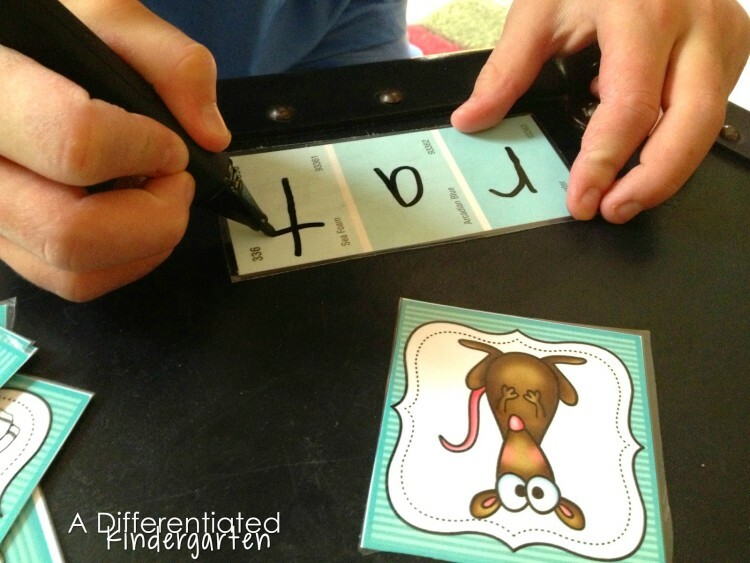 Show Me The Money: This is simply where I offer different materials (chalk boards, white boards, magnets, or even paint chips) for students to use to write a word family word that I show them. They hide what they have written and then when I say ‘show me the money,’ they reveal their word to see if they are correct. 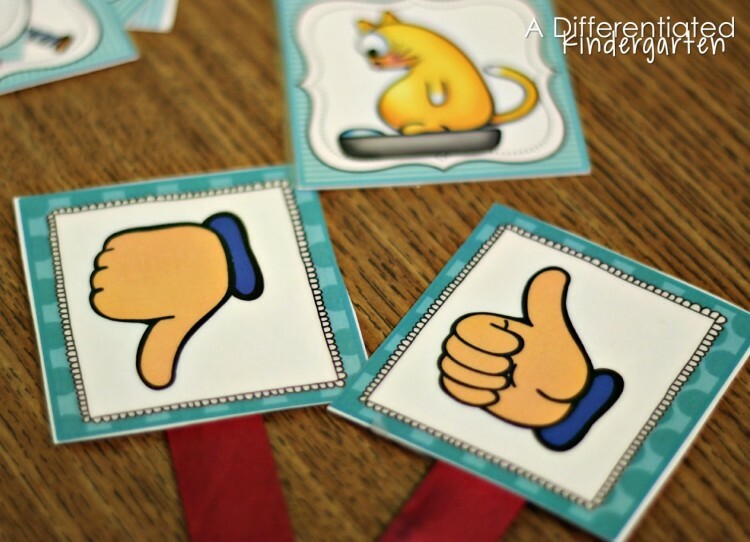 Thumbs-Up/Thumbs Down-I will say/show a word to my group and they use the thumbs up/thumbs down cards to indicate whether they are part of the word family. 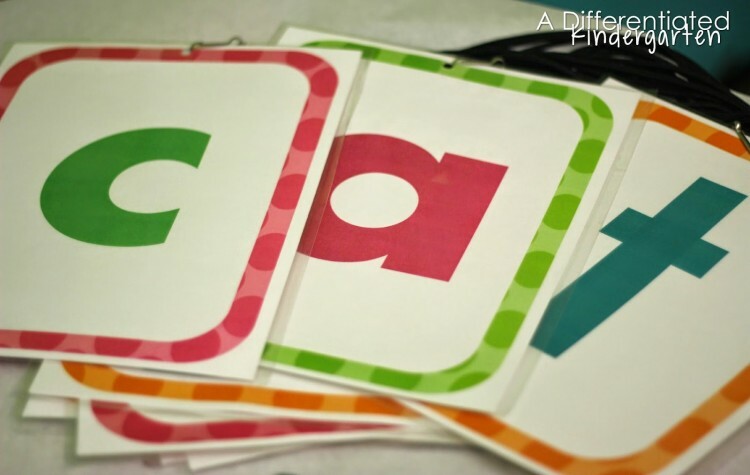 Word Family Memory Match: Played just like traditional memory but with your word family pictures and cards. This too often becomes and independent station after a few weeks when students ‘get’ the rules and routines of playing it. Each of the activities in stations/independent work are initially introduced in small group or if it has a response sheet component to it, I use my document camera to practice filling it out with my students. I want to make sure that students understand the procedures and expectations well before I just put them in their stations. In my room where I use a Daily 5 that is modified, I actually have 2 Word Work stations. 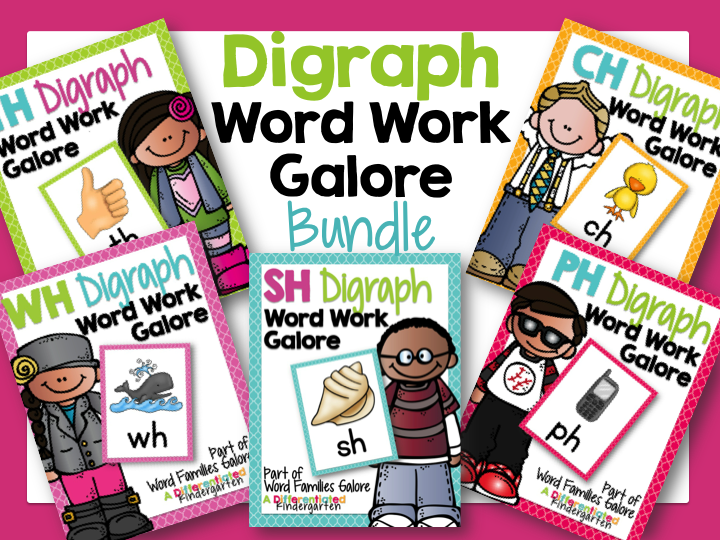 Word Work Station 2 is dedicated to sight word study and fluency (letters at the beginning of the year), and Word Work Station 1 is dedicated to Word Families and Phonics. 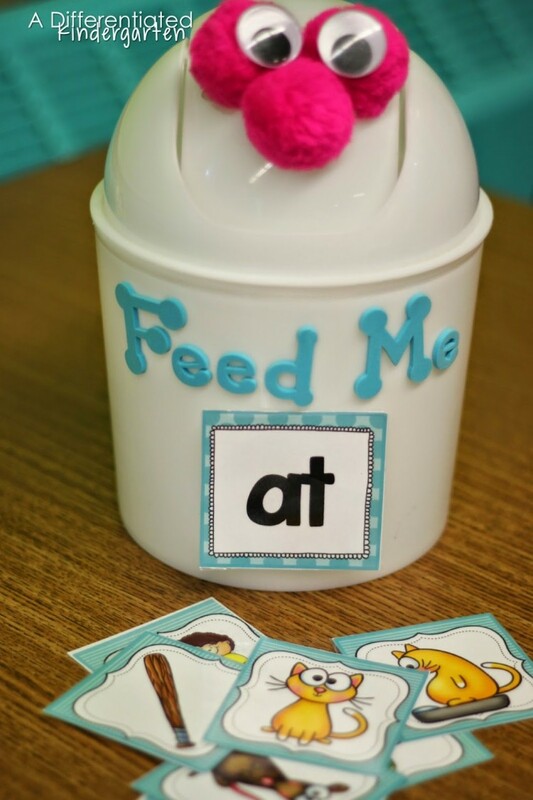 This is where I will put all my word family activities, rhyming activities, digraph, blends and the like for students to use. There is usually one or two ‘must do’ activities and then many many things that they can choose to do after. By keeping these activities familiar and by only changing the skill or word family, students feel incredibly successful here. They have practiced the activity with me first, they understand the work, they can manage the materials and, because it’s differentiated, it’s challenging but not frustrating. 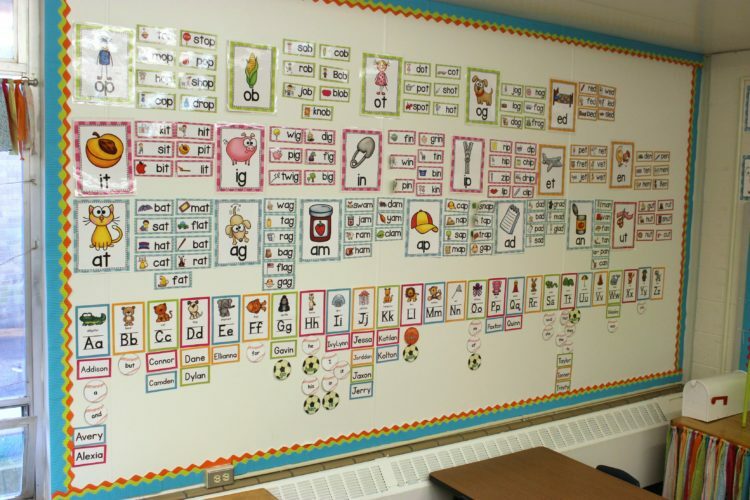 Ok, so here is what my Word Work #1 (Word Families/Blends/Digraphs/Rhyming Work) stations look like in my room. Each drawer contains a different activity. There’s a sensory bin activity on the top as well. 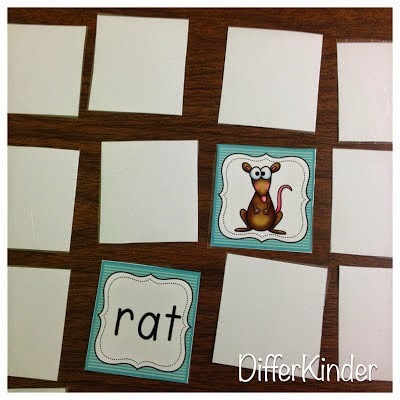 I had mentioned before that some activities move from small group to stations so you may find the Word Family Matching game here, Word Family Hide and Seek or the Word Family Card Games that are available for each short vowel. Additionally, there are some other options as well. 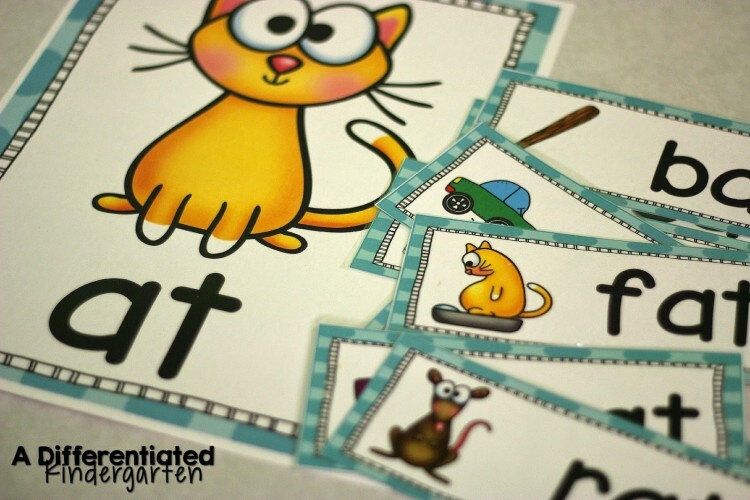 See-it, Say-it, Write-it: These are self-correcting mats and cards that allow students to look at the picture, make it (with beads, magnets or a play-doh stamper) and then write it. Once they have accomplish that, they simply open the card to see if they are correct. Changing up the materials they use from beads to play-doh to magnets, keeps this activity fresh and fun. Write the Room for Word Family Words: Nothing says kindergarten engagement like write the room. Students travel the room in search of word family cards and record their answers on their sheets. 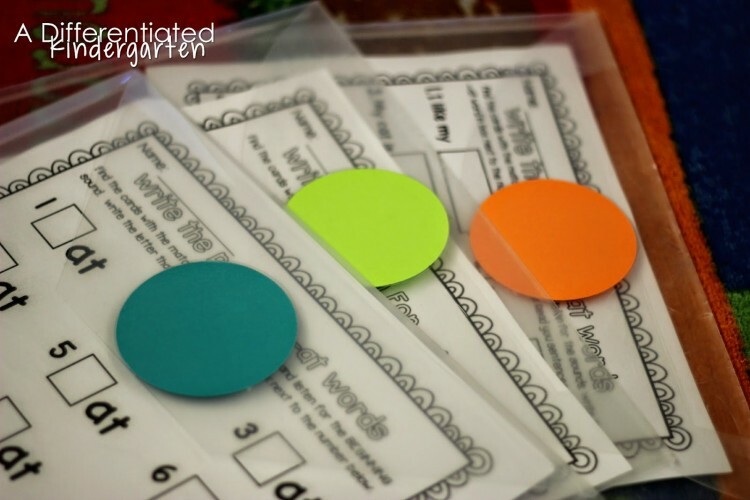 If I don’t want a lot of paperwork lying around for this activity, I simply laminate the sheets or place them in a laminate sleeve. I don’t like to use a ton of paper pencil activities for stations. But if I do, I want it to be a bit more interactive than just your typical ‘work sheet.’ These printables that I include in stations, hit the mark. I always introduce these for the first time through using my document camera and complete them together so everyone understands how they should be used. I Spy A Word Family: These tiered I-spy sheets have students searching with magnifying glasses for word families hidden in the picture. 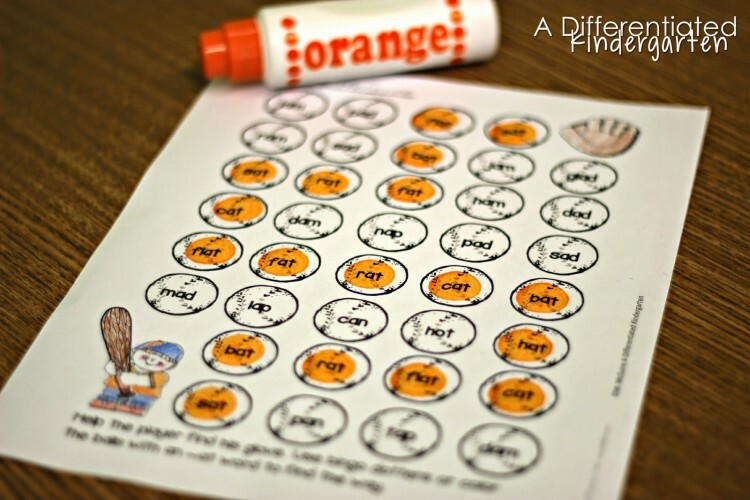 Word Family Maze: Students use bingo dotters to get from one picture to the other by dotting the word family words. Who doesn’t love using a bingo dotter? Haven’t met a kinder yet that doesn’t. And when you just need a response sheet, morning work or homework, I use the following. I introduce these the first week of work families by having students follow along and do them with me as I complete them using the document camera and that seems to help greatly!!! 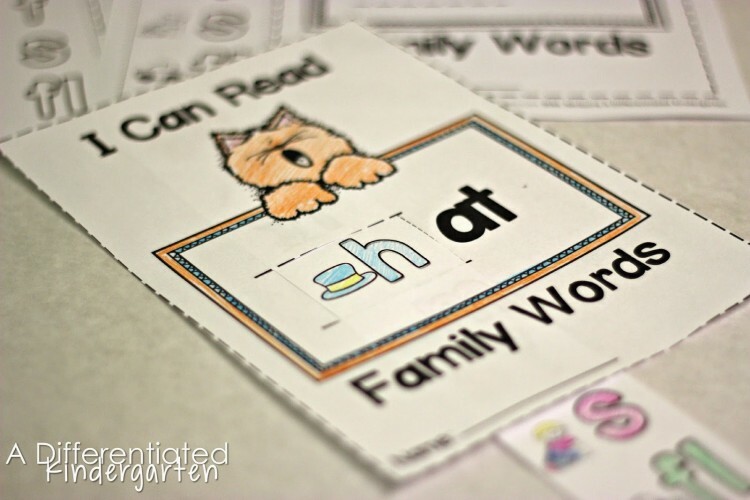 Word Family Slide: Students make a word family reader by cutting and sliding an onset slip in front of the word family rhyme. They read the words to a friend who signs the back of their slider. 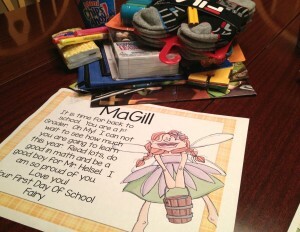 It’s a nice item to send home with students so they can read to their parents. Color, Count and Write: Students color and count word family words at the top of their paper and then graph that many words by writing them on the graph below. It’s differentiated so that students that need that support of writing their letters correctly have it. 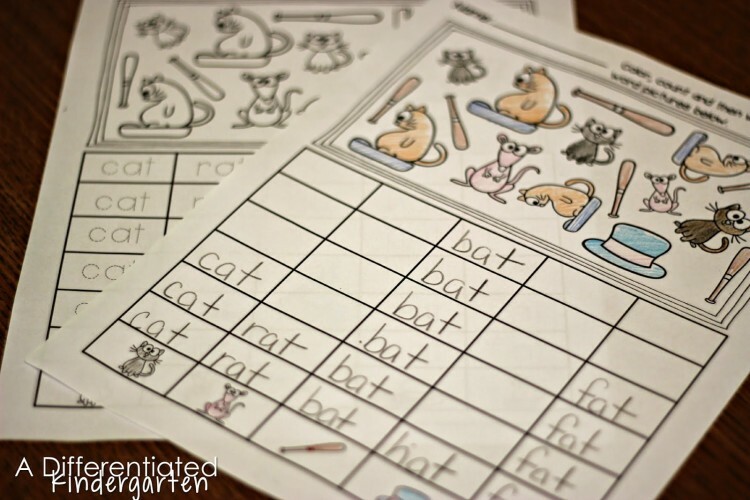 Say, Make and Write Word Family Words: Students cut and glue word family words and then write them next to their corresponding picture. 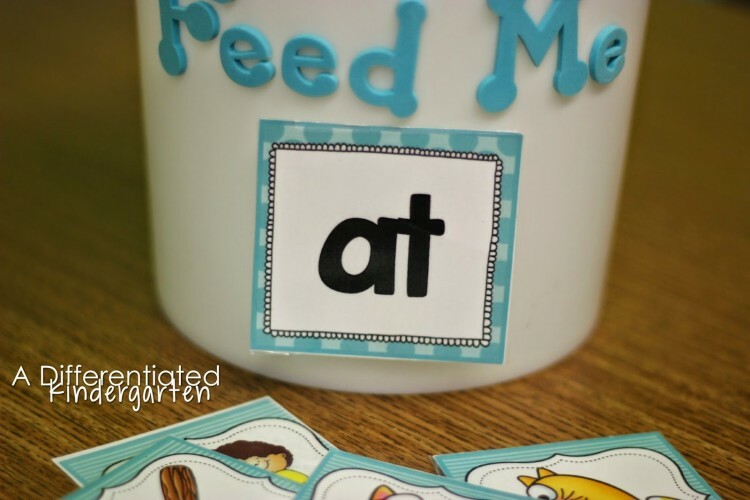 My students always need more and more and even more fine motor practice so I love using this one whenever I can. The key to keeping these stations and activities independent is having your students be familiar with the activities and procedures. 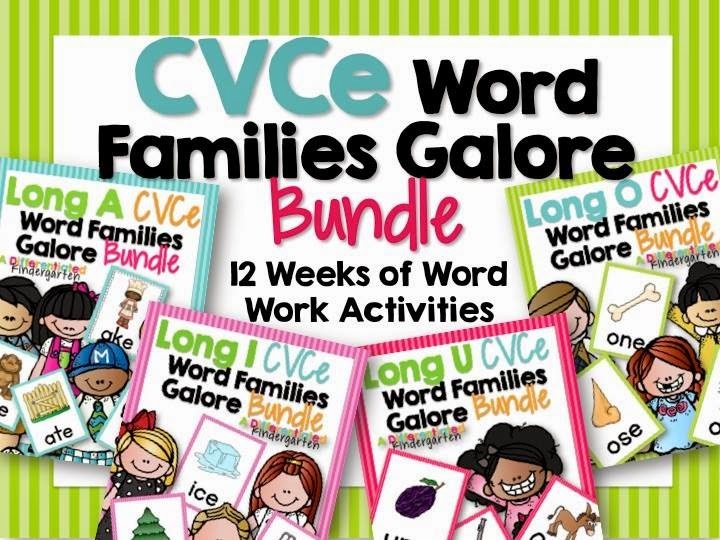 I have 22 weeks of short vowel word families (and there are also CVCe and Digraph sets as well) and they all have very familiar and understood activities. This makes my life infinitely better when working with small groups and makes my students feel successful. ‘I can do it myself,’ is a phrase that is music to my ears. And they can do this all by themselves. Even when it comes to tiering an activity, my students know how to find the one that is intended for them. They don’t have to search around or waste time. I have organized my tiers by color and their Daily 5 name tags indicate which color they should use. It’s so simple and they totally ‘get’ it. When they go to a station, they know to look for their ‘color.’ By color, of course, I mean the color tag that their name is written on for Daily 5 stations. These colors may change weekly depending on what we are working on, but they have gotten into the habit of checking so that when they come to a station, they simply look for the item (I usually use envelops or pencil cases) that has their color and know that this is their activity. This way, I can have three students at three very different levels working on the same activity. For instance, I may have three students working at write the room for word families. 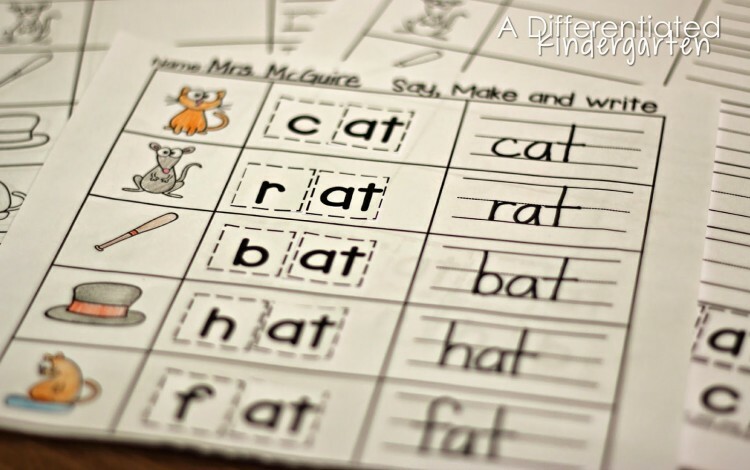 One student may only be writing the onset to match the picture and make the word. Another students may be writing the complete word. And another student may be writing the complete word to complete the sentence on his/her sheet. Each student is engaged and working on their own level of readiness. It’s a good thing, and it makes word family word work successful in my kindergarten class. 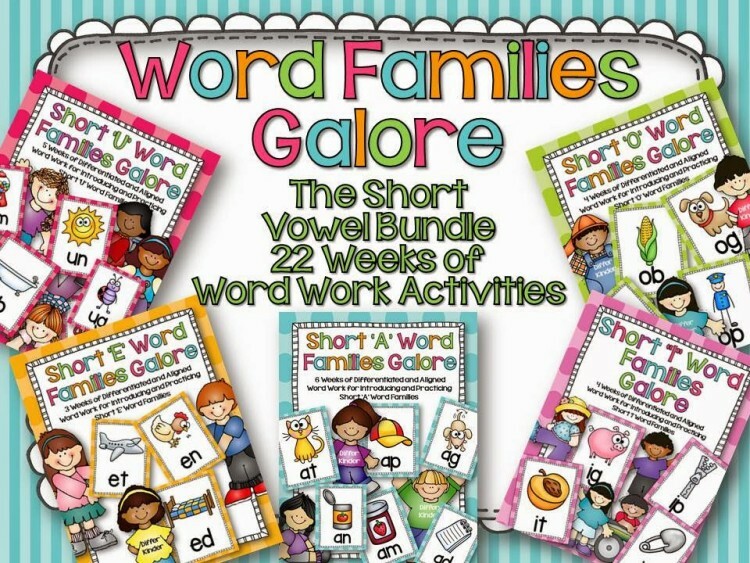 that go along with the 22 different weeks of short vowel word family work. I hope you’ll check them out. Such a great post! Your activities look fantastic and everything is so organized. Thank you for taking the time to include so many details. 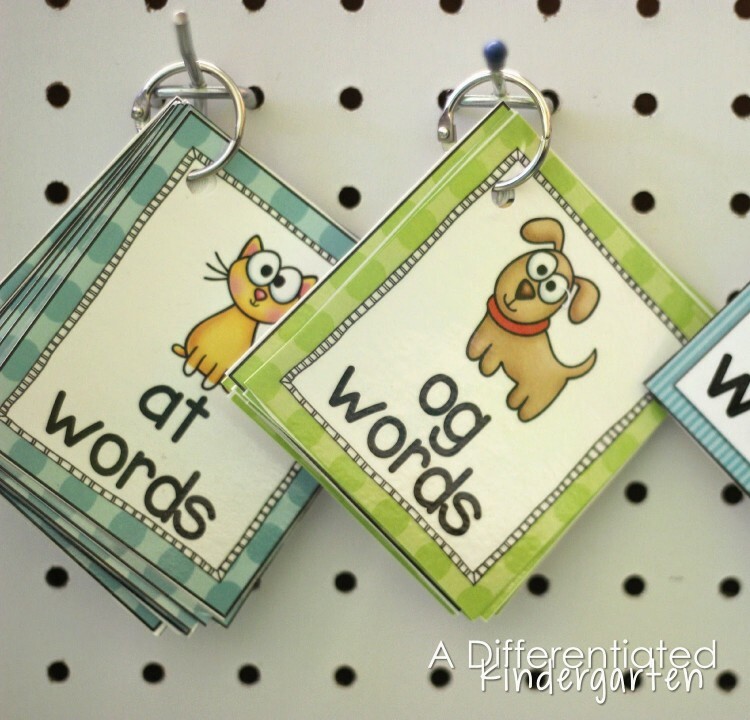 I would love to know how you store all of your word family activities, especially the laminated resources. 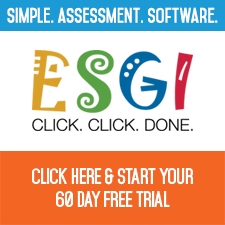 I would love to visit your classroom! I would love to see your class in action! 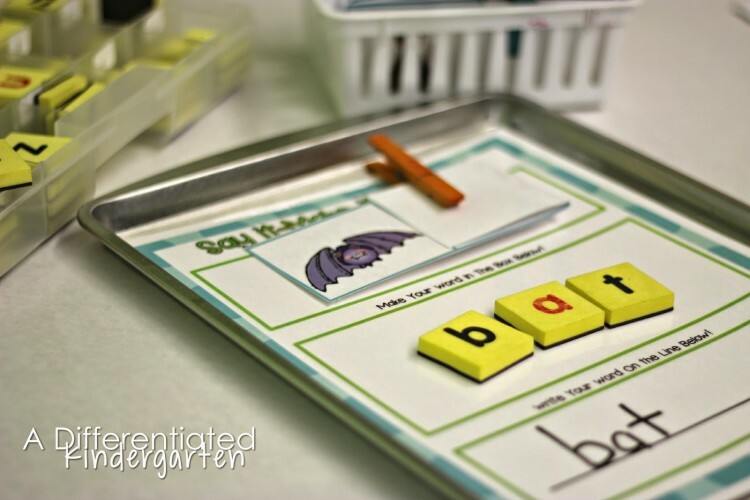 I have several students struggling to learn the letters we have learned as well as sight words so I cannot imagine doing word families. Thank you for sharing about your word work activities!! Fantastic post! Awesome post! Love the ideas! 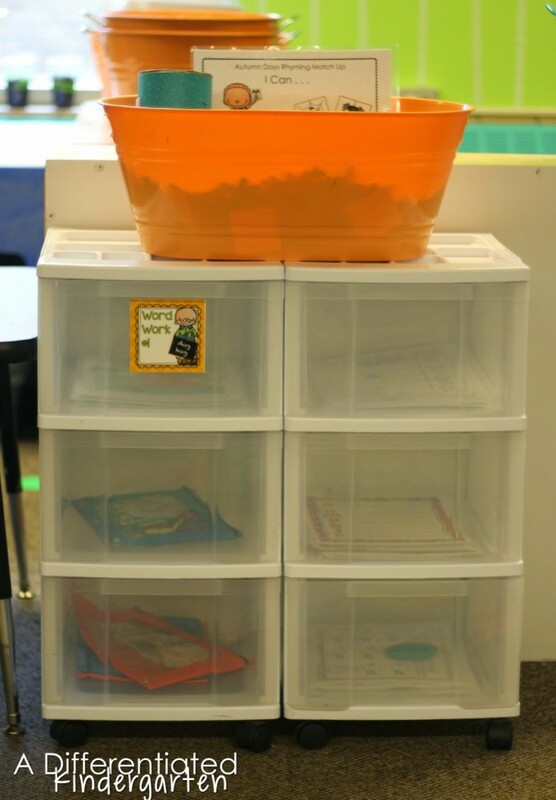 Do you have these 2 word work station cabinets in addition to your Language stations and math stations? where did you get your clear envelopes to differentiate with? i love that!